The Grand Hotel and Bentley’s Grill, Salem’s premiere hotel and fine dining restaurant, bar and lounge, has an elegant downtown atmosphere. 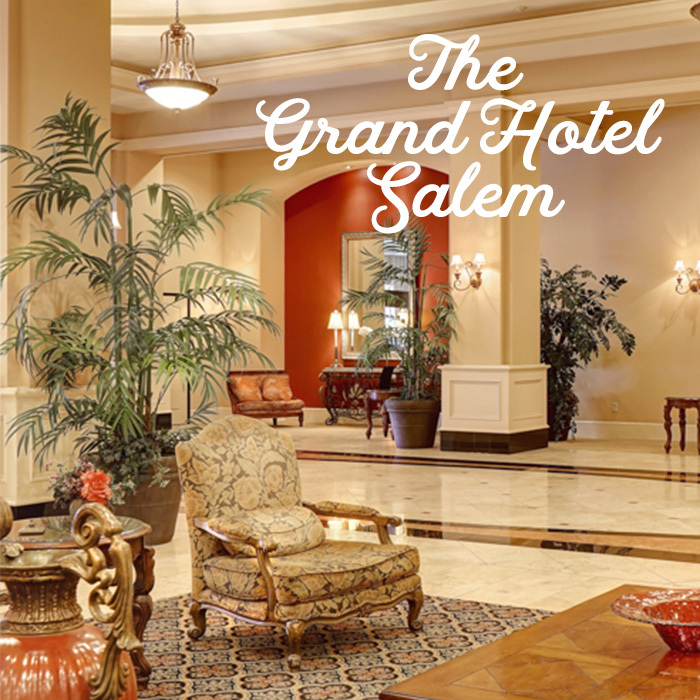 Featuring 193 beautifully appointed sleeping rooms, The Grand offers every visitor comfortable elegance. Enjoy all that downtown Salem has to offer by staying right in the heart of it all. Complimentary underground parking, hot breakfast buffet, high-speed wireless internet, indoor pool and spa, and more await your arrival. The menu at Bentley’s Grill features Northwest ingredients with items that include fresh seasonal seafood, artfully presented salads, choice steaks, brick oven artisan pizzas and rotisserie tender chicken. Enjoy more than 200 varieties of wine, 100 of them local Oregon wines. Bentley’s service is outstanding, with clientele ranging from professionals to families with children.